Christian Barnes is fascinated with human physiology. Barnes’s interest in learning more about the human body is reflected in his classes, where theoretical and practical aspects of exercise, fitness and wellness are applied within real-world settings. 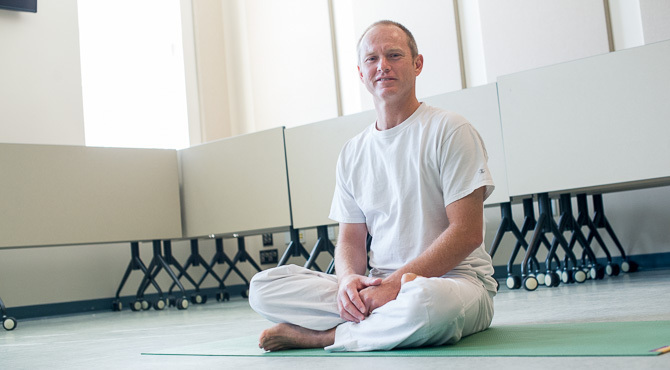 He supervises the exercise science practicum experience and teaches courses from A to Z (anatomy to Zen golf), as well as physiology lab and yoga. Barnes earned his bachelor’s degree in human movement science and his master’s degree equivalent in exercise physiology from the University of Wollongong, New South Wales, Australia. He joined the UNCW faculty in 1997. He hopes he has inspired his students to become lifelong learners and to use their abilities to contribute to the world in a way that is meaningful to them.